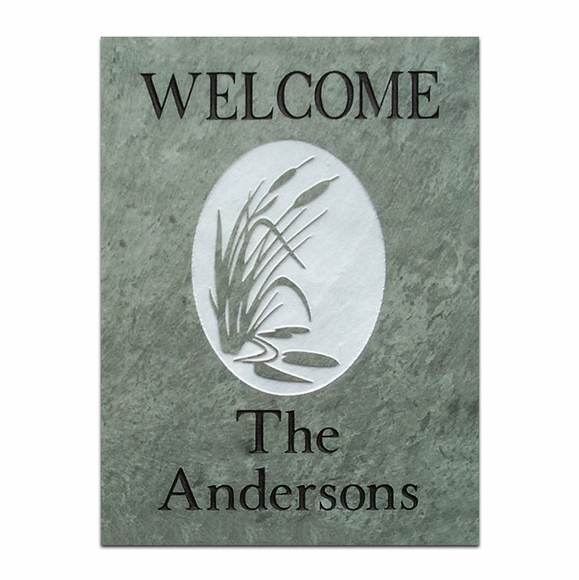 Personalized Slate Welcome Sign with Cattails - - green slate; black printing; white oval in the middle with green cattails. Made in America. Wall mount rectangle Welcome plaque. Line 1 says WELCOME as shown. Line 2 holds up to five (5) characters (including spaces). Line 3 holds up to fifteen (15) characters (including spaces).